Whether you call it digitization or digitalization, the digital economy is rewriting the rules of business. In this new operating environment, companies of all sizes must conduct business differently while freeing themselves from the constraints of the past. It is a time in business when the consumer is King, and access to information and product choice is everywhere. Manufacturers will only survive and thrive, if they Run Live. As a manufacturer, what can you achieve by running live? When manufacturers Run Live, they operate without boundaries, in the moment at speed, armed with unique and actionable business insights. Running a live manufacturing business enables a company to operate with far greater intelligence and less business complexity while further driving innovation, speed, and predictability, all required to compete successfully in a disruptive digital economy. While a more connected world offers unlimited possibilities, it is equally chaotic and unsettling for companies. Manufacturers running their business from the rear view mirror, detached from their customers and suppliers, face the constant threat of market disruption and incur higher operating costs. Trying to control and manage innovation and operating efficiencies within a company’s four walls, is a dated operating model that does not work in servicing an outwardly driven and digitally connected customer-driven economy. A manufacturer’s eye toward innovation and improving operating efficiencies must begin with an external view of the world, and that view must begin with the customer and extend throughout a manufacturer’s business ecosystem. 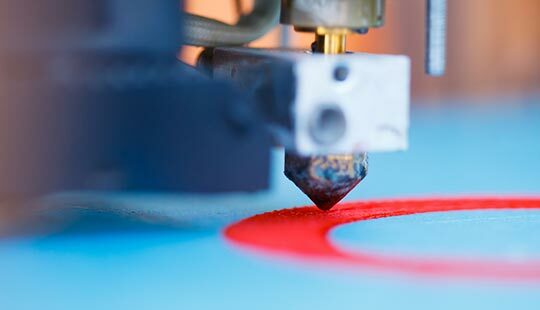 Running live, enables manufacturers to operate customer-centric digital manufacturing operations that are more connected and less susceptible to radical market changes. It places a manufacturer in the enviable position of being a potential market disrupter rather than being a potential victim of market change. With a more connected world, brings forth added challenges and dependencies, that when not properly managed, result in lower recurring revenues and higher operating costs. Sharing economy: Leveraging business networks and digital connectivity to empower innovation and operating efficiencies throughout a manufacturing organizations’ extended ecosystem. To learn how leading SAP companies are meeting the challenges of running live and globally connected, we invite you to meet with SAP and our customers at these upcoming events. There you will have the opportunity to meet with SAP experts and customers while experiencing the power of the SAP Leonardo Innovation Portfolio. We look forward to meeting with you and helping you on your digital journey.